Nepal is sending a team of government-appointed climbers up Mount Everest to remeasure its height, hoping to quash persistent speculation that the world's tallest mountain has shrunk. Four government surveyors will depart Wednesday for Everest, which lies on the Himalayan range straddling the border of Nepal and China. Its official height is 8,848m, first recorded by an Indian survey in 1954. Numerous other teams have measured the peak, although the 1954 height remains the widely accepted figure. Nepal's Survey Department commissioned a team of surveyors in 2017 to prepare for an Everest expedition in the hope of putting the matter to rest. "We are sending a team because there were questions regarding the height of Everest after the earthquake," the expedition's co-ordinator from the Survey Department, Susheel Dangol, told AFP. Four government surveyors have spent two years fine-tuning their methodology for measuring the peak, collecting readings from the ground and training for the extreme conditions they will encounter at the top of the world. "It will not be easy to work in that terrain, but we are confident our mission will be successful," said the expedition's leader and chief surveyor, Khim Lal Gautam, who summited Everest in 2011. It also provides Nepal a chance to measure the fabled mountain for which it is famous, the impoverished country having never conducted its own survey. 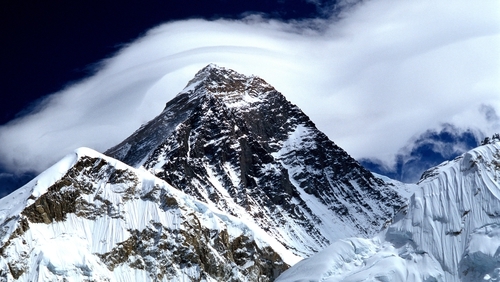 In May 1999, an American team added two metres to Everest's height when it used GPS technology to survey the peak. That figure is now used by the US National Geographic Society, but otherwise not widely accepted. Nepal rests on a major fault line between two tectonic plates: one bearing India that pushes against the other carrying Europe and Asia, the process that created the Himalayas.